Dr. Pravin Naphade, Neuro Physician. Dr. Pravin Naphade is Neuro Physician whose areas of specialisation are Headache, Stroke, Epilepsy, and Vertigo. His clinical skill set includes botulinum toxin injection for hemifacial spasm, blepharospasm, writer’s cramp, cervical dystonia, EEG, NCS, VEP, and BAER. 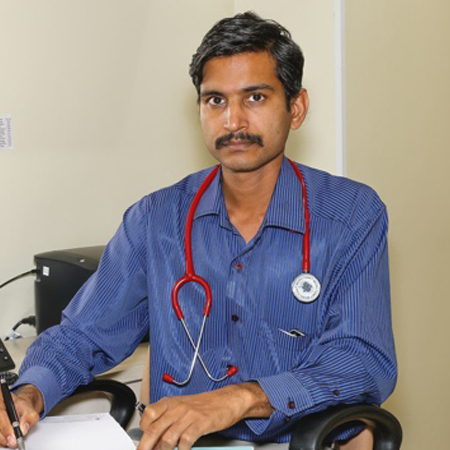 Dr. Naphade pursued MBBS from SRTR Government Medical College (Ambajogai). It was followed by an MD in Medicine from Mahatma Gandhi Government Medical College (Indore) and DM in Neurology from King George Medical College (Lucknow). He bagged Dr. AM Kar Centenary Gold Medal’ for the best performance in DM (Neurology) Examination.